"To the most beautiful moment in life, better than a deed, better than a memory, the moment...of anticipation!" --Jacques, Marge Simpson's would-be-lover in the season 1 episode "Life on the Fast Lane". 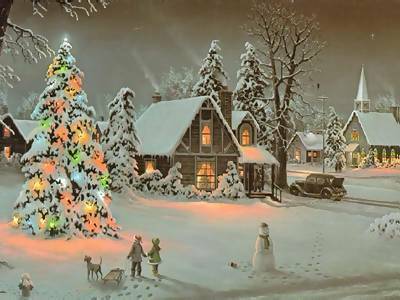 In much the same way that Friday is my favorite day of the week because the promise of what the weekend holds is usually better than what actually ends up happening, I've always enjoyed Christmas Eve far more than Christmas Day. 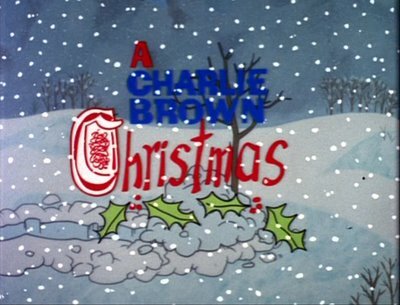 Without a doubt, A Charlie Brown Christmas is my favorite Christmas TV special, though it's difficult for me to explain exactly why. 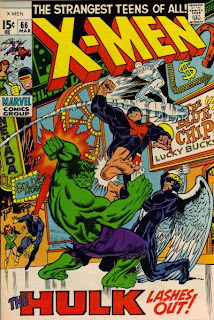 "The Mutants and the Monster"
The X-Men fight the Hulk. The X-Men gather around a comatose Professor X. After Iceman and Havok quarrel over Lorna's affections, Beast guesses Xavier might know how to cure himself, and uses the Professor's mind probe device to read Xavier's surface thoughts. All he gets is an image of Professor X urging the X-Men to find the Hulk. Then Marvel Girl telepathically probes Xavier's mind and similarly sees nothing but the Hulk. Deducing that Xavier is actually telling them to seek out the help of scientist Bruce Banner, the Hulk's alter ego, the X-Men depart, leaving Havok, Lorna and Iceman behind to guard Professor X. 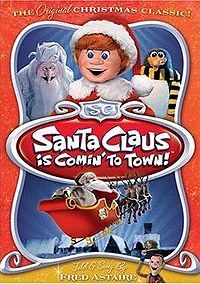 If Santa Claus is Comin' to Town is the Rankin/Bass version of a modern comic book writer's pedantic origin story, than Rudolph the Red-Nosed Reindeer is their version of a batshit insane Silver Age DC comic. 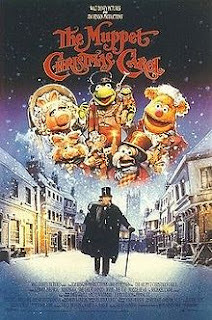 The Muppet Christmas Carol is my favorite Christmas movie, one I watch in whole or in part every year. 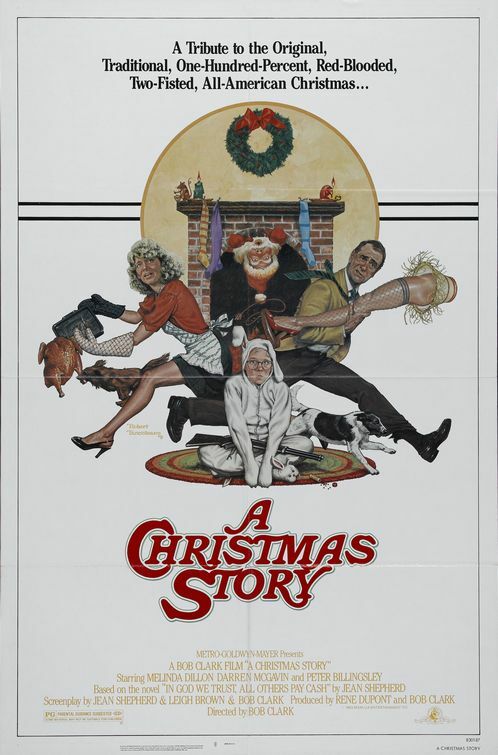 The movie takes the standard story of A Christmas Carol and adds the Muppets (including Kermit as Bob Cratchett, Fozzie Bear as Fezziwig and Statler & Waldorff as the Marley Brothers), Michael Caine as Scrooge, original songs and fourth wall breaking narration from Gonzo (as Charles Dickens) and Rizzo the Rat. Not a bad episode, but not quite what I was expecting. I'm curious at what part of the production process it was determined that episode six was the first season finale. 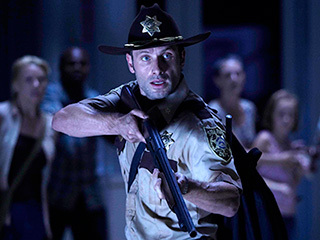 When Rick and company arrived at the CDC at the end of the last episode, it seemed to be setting up the kind of status quo ending in which season finales traffic. 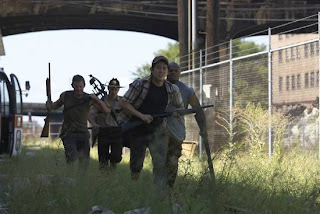 I didn't expect them to spend the rest of the show hanging out there, but I thought maybe the next season would open with them there before something forced everyone to leave. Instead, it looks like the CDC was just one more step in the journey, and the status quo that ended was more thematic (now that they've realized the full extent of the zombiepoc, perhaps they'll look for salvation somewhere other than a pre-apocalypse institution of authority that maybe survived intact). 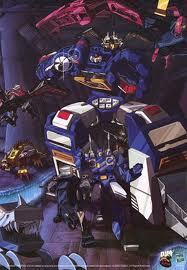 Yes, Soundwave. Megatron's second-in-command (well, the second-in-command who wasn't also constantly trying to kill and/or usurp him). The monotone Transformer who turns into a tape player. For whatever reason, I've always been fascinated by Christmas villages, those dioramas of buildings and figures you'll see in fancy Christmas stores. My grandpa always setup a small one on an end table in the living room, and I think my interest stems from that (as well as the fact that, as a kid, I never just played with my action figures but set them up in elaborate diaroma-esque scenarios first). From the Futurama episode "A Tale of Two Santas", one of my favorite Christmas episodes. 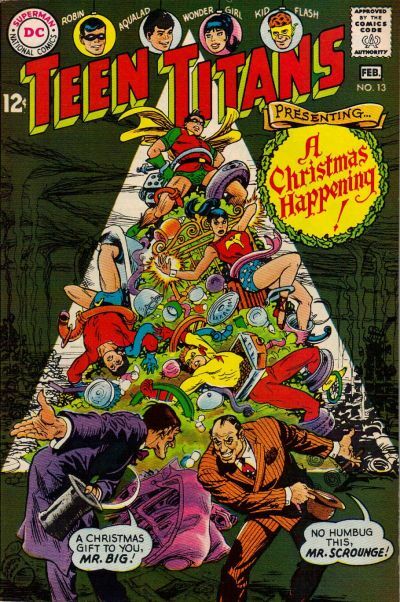 Whether taking on A Christmas Carol or featuring Superman teaming up with Santa Claus to defeat Toyman, super hero comic books, like TV, have a long tradition of paying homage to the holiday. 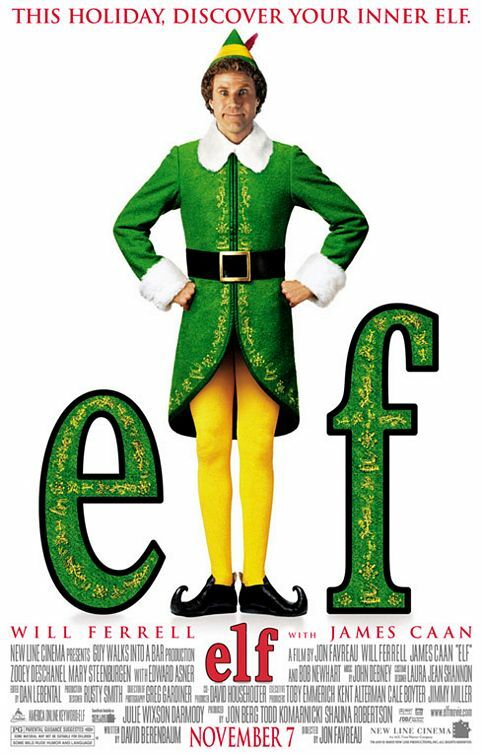 The most recent of my favorite Christmas movies, Elf combines my love of Christmas with my love of Will Ferrel comedy into a fun little movie I watch in whole or in part every holiday season. Though the climax bugs me (specifically the shoehorning in of some pretty random action movie beats) there's plenty of good stuff to balance that out in this story of a man raised to be an elf trying to reconnect with long lost father. Professor X returns and helps the X-Men repel an alien attack. 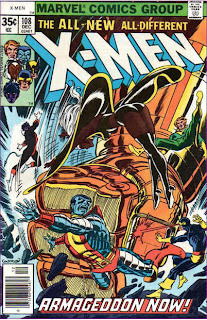 The X-Men return to the mansion and find Havok and Lorna waiting to brief them. Havok tells the X-Men of the alien Z'Nox, a compassionless race of aliens who live to destroy and conquer other worlds. They have developed technology which enables them to move their planet through space, and the planet is heading towards Earth, following a scout ship that recently landed at the South Pole. When the X-Men question how Havok learned all of this, he reveals a very much alive Professor X. Jean bursts into tears, thankful that she longer has to pretend that Xavier is dead. The candy most associate with Christmas is, of course, the candy cane, but I'm not a big fan. They make my hands sticky and get rather difficult to eat as one approaches the curve. Countdown to Christmas #14: Santa Claus is Comin' to Town! 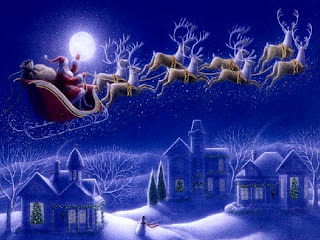 "Santa Claus is Coming to Town!" 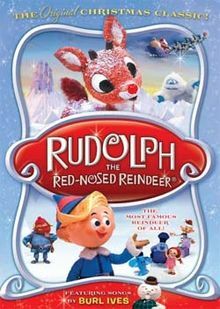 is one of Rankin & Bass' Christmas stop motion specials (and is less well known than their Rudolph special, which will be covered in this series in due time). It first aired in 1970 and is essentially the origin of Santa Claus, but even better, it's the origin of Santa Claus as though a modern comic book writer wrote it for the most pedantic of comic book geeks, in which even the most minor of details are given a specific background story to explain it. 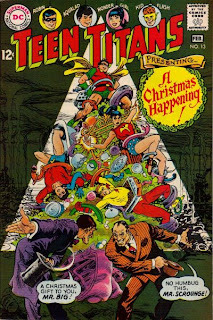 This thing is like the "Superman: Birthright" or "Green Lantern: Secret Origin" of Christmas specials. 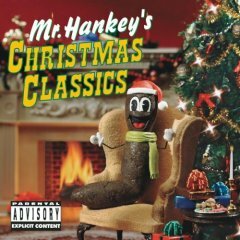 "Mr. Hankey's Christmas Classics" is a Christmas album released in conjunction with the South Park episode of the same name. Like most of South Park, the songs (some original, some covers of classic Christmas songs) are crass, offensive and hilarious. Another thing I love about Christmas are those more regional and international traditions and characters that haven't made it into the Christmas zeitgeist yet. Of those, my favorite is, without a doubt, Dominick the Italian Christmas donkey, who helps out Santa by climbing the mountains around Italy to deliver toys to children. Presents! Whether you like to give them, receive them, or (like most of us) both, there's no denying that the modern holiday season is centered around presents. The Chronicles of Narnia: The Voyage of the Dawn Treader has come to a theater near you! I have recently finished reading The Chronicles of Narnia in its entirety and I'm glad that The Voyage of the Dawn Treader is the Narnia installment that is coming out because it coincides with this post well since it marks when my opinion of the series started to change. 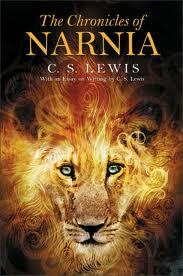 I knew going into reading The Chronicles of Narnia that the books would have a heavy dose of Christian symbolism. But that didn't really bother me. I might not buy everything C.S. Lewis is trying to sell, but I understand the fact that his stories are based off of his beliefs. However, I started getting some weird vibes in the last three (in-universe chronologically) books. Ebenezer Scrooge is one of literature's great iconic characters, one of those characters (like Sherlock Holmes) that's become an archetype. 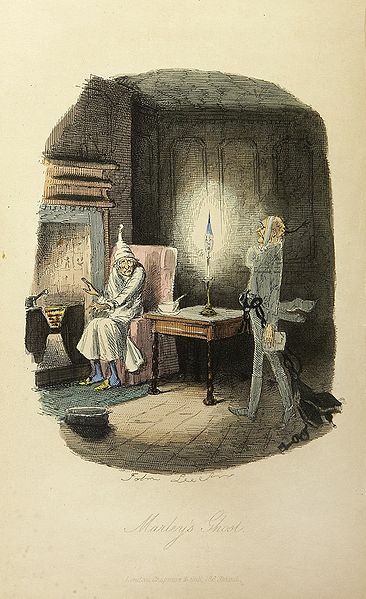 Even if you've never read A Christmas Carol, you know who Scrooge is and what his deal is. 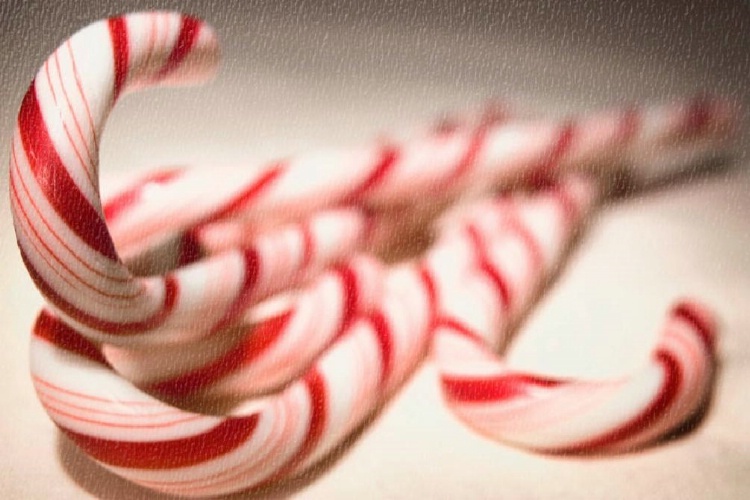 His name has become an adjective synonymous with miserly and skinflinted and his use of the word humbug to describe Christmas has transformed that word's meaning to one who doesn't like Christmas or isn't cheered by the holiday season. "Snoopy's Christmas" is a Christmas song recorded by the Royal Guardsmen in 1967 as a follow-up to their hit "Snoopy vs. the Red Baron." The song chronicles a Christmastime aerial duel between the World War I Flying Ace and Germany's most notorious aviator and illustrates the power of Christmas to bring even the bitterest of enemies together, if only for a brief moment. It is one of the best Christmas songs ever. Reviews of this episode have been fairly critical of it, especially the whole "gangsters turn out to be nice social workers" plot. While it certainly got ham-fisted at times, it didn't derail the entire episode, as there was plenty of other good stuff going on. 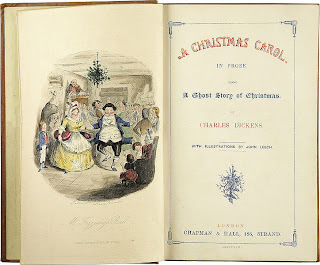 I'm not a big Charles Dickens fan, but A Christmas Carol is the one exception. With it, Dickens manages to speak to the subject most important to him (the disenfranchised poor in Victorian England) but due to it's relative brevity compared to his other works, that subject doesn't overwhelm the story. I'm not a big cookie guy. 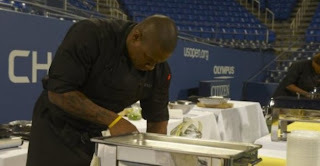 They fall behind pies and ice cream in the dessert pantheon (and just ahead of cakes). But I definitely enjoy me some Christmas cookies at this time of the year. After Santa, the Christmas tree is perhaps the most recognizable secular symbol of Christmas. As a kid, I always got excited when the Christmas tree was setup because it was fun place to play with my GI Joes (Christmas tree lights make great lasers). As my brother and I got older, my mom got picky about what kind of ornaments went on the tree, so we each got a small three foot fake tree for our bedrooms, on which we could hang our handmade and fun ornaments. While I certainly wasn't a child circa 1940 (heck, that predates my dad's childhood) a heavy sense of nostalgia still fuels my love of this movie, largely because it's one of those movies I watched every year as a kid. It's always been a favorite of me and my dad (our favorite line: "Wow, yippee, a Zeppelin!" It still gets shouted every Christmas at least once as we open presents). We've always found the movie uproariously funny while my mom and brother...do not. 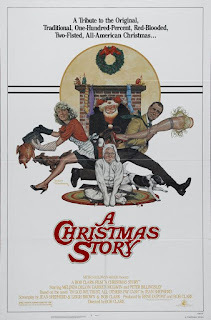 Even though it takes place in an era with which I'm not personally familiar, I still feel nostalgic watching it (and let's be honest: nostalgia has a lot to do with my love of the holiday season). Twitter has become the next big thing. People's attention span are so short now that 140 characters of information is all we can handle in one sitting. Twitter has changed the way a lot people get their information and the way a lot of people give their information or idle thoughts or removal of all doubt of their status as a fool. However, almost nothing has felt Twitter's affect more than the sporting world. "War in the World Below!" 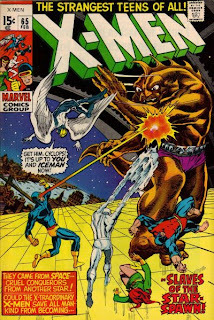 The X-Men and Ka-Zar fight Magneto in the Savage Land. 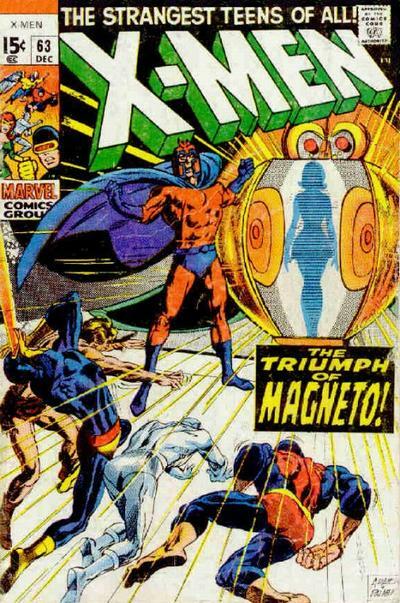 As Angel flies off to battle the X-Men, Magneto enjoys the irony before informing his followers that soon his ultimate mutant creation will be complete. Angel meets up with the X-Men and Ka-Zar, but Ka-Zar simply bats him aside and continues towards the Creator's headquarters. 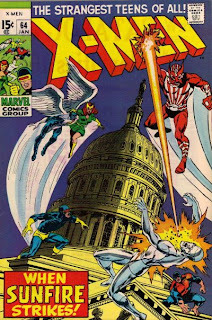 Magneto's Mutates and the Swamp Men emerge, engaging the X-Men in battle. Angel, realizing he's been duped, flies back to Magneto and overhears him gloating about creating the Mutates. Magneto explains to Angel how he survived their last encounter just as his latest creation emerges. 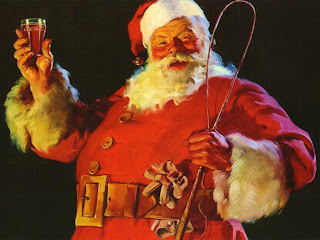 Let's start with the big guy : Santa Claus. Saint Nicholaus. Sinterklaas. Sandy Claws. As Bart Simpson once reminded us, let us not forget the true meaning of Christmas: the birth of Santa.